Rice farming using parachute planting technique business model with typical financial needs and capital gains. 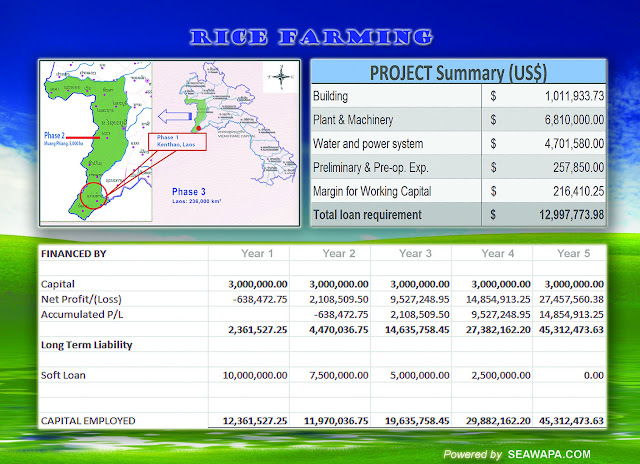 As explained and advised by www.seawapa.com, Lao National Chamber of Commerce and Industry pilot projects to spread across Laos to use over abundant of freshwater for food production, an alternative and immediate solution to prevent the Jesuit Empire food crisis to reduce the world population in order for their corrupted monetary and oligarchy systems to survive. - Read more.